While losses led to a "lot of disappointment," the Women Win TO group was "encouraged" by some of the results, said co-founder and city councillor Kristyn Wong-Tam. When Chiara Padovani mused about running for city council, she heard a common refrain: a young woman and political rookie like you will be a fringe candidate, at best. The 30-year-old social worker from Mount Dennis didn't let that stop her from signing up. Several months in, she didn't let Premier Doug Ford's unexpected council cuts — something she calls an "attack on democracy" — stop her either, even though it left her up against two incumbents. In the end, Padovani didn't win. But she did manage to capture 20 per cent of the vote. "If there's one thing a campaign like mine showed a lot of people: Yeah, a young woman, a social worker from her community... can actually mobilize over 5,000 people to vote for her," she told CBC Toronto after the election. In fact, 5,358 people voted for her. That put her in third place in the Ward 5, York South-Weston race behind well-known incumbents Frank Di Giorgio with roughly 5,700 votes and victorious Frances Nunziata with just over 8,400. It was just one of many strong showings for fresh female voices in an election dominated by sweeping ward system changes and incumbent battles — a sliver of good news to advocates pushing for gender parity on a council long-dominated by men, though a far cry from the strides made in other Ontario municipalities. In Padovani's case, she was a participant of Women Win TO, a volunteer-based organization pushing to have more progressive women on council and within other political spheres. Her fellow participant Amber Morley came second to incumbent Mark Grimes in Ward 3, Etobicoke-Lakeshore, with nearly 11,000 votes to his roughly 16,500. And in the mayoral race, Saron Gebresellassi made headlines for grilling leading candidates John Tory and fellow first-timer Jennifer Keesmaat at debates, and wound up fourth with more than 15,000 votes (Keesmaat secured more than 178,000 votes herself, despite being a political rookie, though she trailed behind Tory's roughly 480,000 supporters). 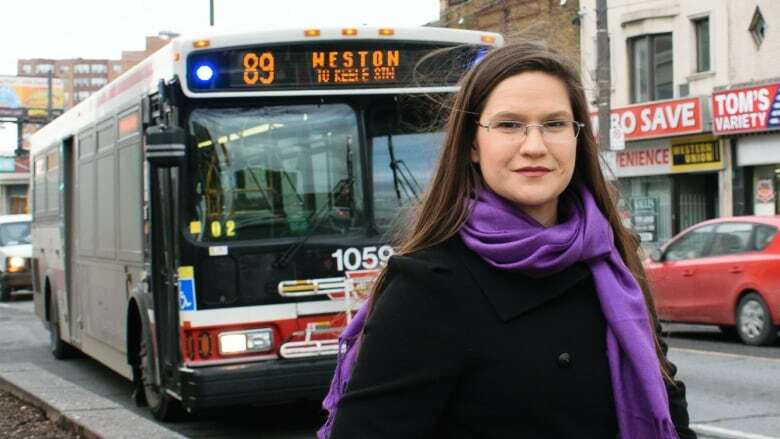 While the losses led to a "lot of disappointment," the Women Win TO group was "encouraged" by some of the results, said co-founder and city councillor Kristyn Wong-Tam, who was re-elected herself last week in Ward 13, Toronto Centre. "It's often times young women, and racialized and diverse women, and LGBT and gender-non-conforming women, who have the hardest time gaining electoral success," she said, adding that prompted the creation of her organization to elevate those types of candidates. Research also shows women are simply less likely to run in the first place for a host of reasons, including not being recruited, not feeling qualified, or not feeling like the political landscape is as fair as men do, according to one report from the Brookings Institution, a U.S. think tank. When women do run, however, various studies have found they're actually just as likely as men to win. "I was really looking forward to a council that was going to change," Wong-Tam said. Overall, though, dramatic change didn't come: Roughly 70 per cent of the next council is men, a figure that's held strong over the last three elections. That's a stark contrast to the results in several other Ontario municipalities. Some voters made history — twice — by electing all-female councils in the town of Spanish, near Sudbury, and in the Township of Algonquin Highlands, about a three-hour drive northeast of Toronto. In Hamilton, women now hold seven out of the 15 seats, almost half the council, while the number of women on Ottawa's council nearly doubled. In Toronto's case, Padovani and others agree the sudden mid-election shift to a smaller ward system disrupted hopes for more new faces, including women, to join council's ranks. Even so, when it came to the first-time councillors elected in Toronto on Oct. 22, two of the three — Cynthia Lai, who won the open Ward 23, Scarborough North, and Jennifer McKelvie, who bested incumbent Neethan Shan in Ward 25, Scarborough-Rouge Park — are women. McKelvie, an environmental geoscientist, said she's familiar with the barriers facing women from a scientific perspective and wants to focus more on the barriers facing other women entering politics now that she's been elected. "The most difficult experiences are the most rewarding ... I invite all women who are considering a run to join me," she said. There's hope among advocates that will be the case. In the case of Women Win TO, Wong-Tam said this won't be the last people have heard of the group and its candidates. Padovani agrees, adding she believes more women in general will be making their mark on council soon enough, given this year's momentum. "I am very, very confident that it's going to continue moving forward." So what's next for her? "I'm definitely going to run again in four years," she said.